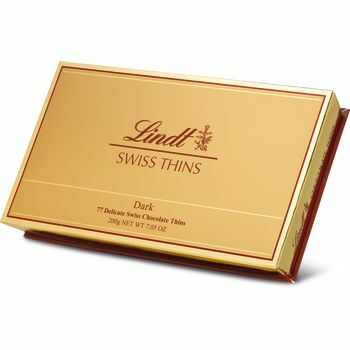 Lindt Swiss Thins Dark offer pure dark chocolate pleasure as they are made from the best quality ingredients. Thanks to its delicate and thin shape this delectable specialty melts quickly on the tongue to release ist delicious cocoa taste. Indulge in this dark chocolate experience and discover the refinement of the delicious dark Swiss Thins.